For a PDF of the Run Bike Relay Participant Handbook, click here. How does Run Bike Relay work? What kind of team vehicle should we use? Where are the transition zones and what will be at each of the them? What’s happening at the finish line? Can one of my teammates complete my segment with me? What happens if one of our team members gets injured? Teams of 4, 2, or solo racers will cover 125 miles of trail between Richmond and Jamestown either on a bike or on foot. While one of your team members is on the course, the rest of your team will drive ahead to the next transition zone to wait for your teammate to finish. Once your teammate arrives, you will exchange the bib belt in the exchange tent and the next team member will head out on their leg. Each team member must complete at least 3 sections of the course, but in any order that they choose. The start and finish of the race is at City Stadium, 3201 Maplewood Ave, Richmond, VA 23221. Teams are welcome to meet here and leave their cars overnight if they would like, but this is done at their own risk. Family and friends are welcome to come to City Stadium at a team’s scheduled start time or predicted finish time to cheer on the athletes. For a course map, click here. For your own safety and the safety of those around you, a variety of safety gear is required while you are on the course or outside of your team vehicle. Below is a list of required safety gear to be present in each team vehicle as well as when it is required to be on your person and bike. Running: A headlamp, tail light, and reflective safety vest are required while running on the trails between the hours of 8pm and 6am. Any runner that enters the transition zone during this time will not be allowed to leave without a safety vest, working headlamp, and working tail light. If you are seen running without using your headlamp, tail light, or vest, your team will be subject to disqualification. Knuckle lights or handheld flashlights are acceptable alternatives to a headlamp, but a headlamp is recommended. Biking: A white, solid headlight and red or white flashing taillight is required at all times while riding on the trails. A reflective vest is highly encouraged but not required. Any rider that enters the transition zone during this time will not be allowed to leave without working head AND tail lights. 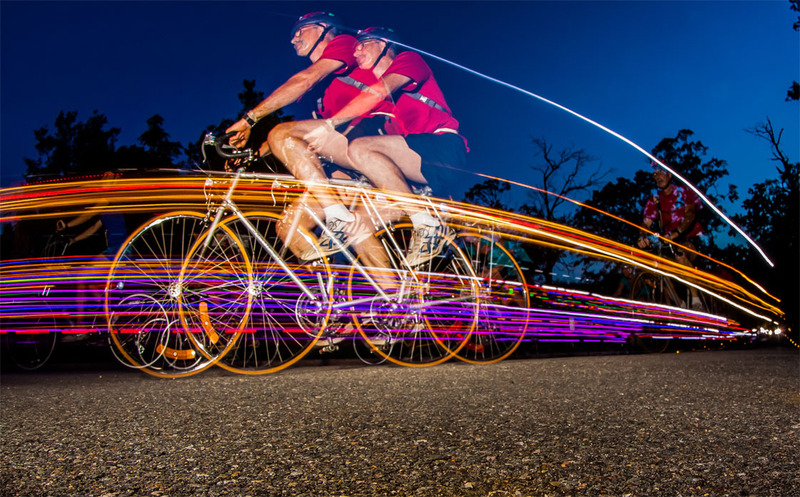 If you are seen riding without using your lights, your team will be subject to disqualification. Reflectors are NOT acceptable substitutes for either your head or tail lights, but may be used in addition to both of these lights. Bike helmets are required at all times while riding a bike. Additional visibility gear such as handheld lights, shoe lights or helmet lights are permitted and encouraged but not required. Teams should be prepared with bike repair kits, patches, tubes and bike pumps in their team vehicle. Cell phones – We require that each team have a cell phone with them at all times and that the team member on course also be carrying a phone. Each participant must complete at least 3 segments of the relay, but it is up to each team to determine their order and assign legs to each team member. Keep in mind, your team member on the course MUST go to the transition zone, even if they are choosing to complete consecutive segments. Teams (and solo participants) are responsible for their own transportation throughout the event. Keep in mind that you are transporting people and a bike or potentially multiple bikes. We recommend a vehicle with a bike rack attached or a vehicle large enough to transport bike(s) and 3 people, if you are putting together a 4-person team. So bring your own car, van, truck or SUV, or rent one from a car rental facility of your choosing. There is a one vehicle per team limit to control the amount of traffic that we have along the course and at each of the transition zones. We will provide each team a vehicle number that corresponds to your team bib number that will be required to be placed in the windshield throughout the event duration. If you are planning on racing solo, please note that we will not provide transportation for bikes, you are responsible for your providing your own support vehicle. Feel free to decorate your team vehicle to show some team spirit! Where are the transition zones and what will be at each of them? 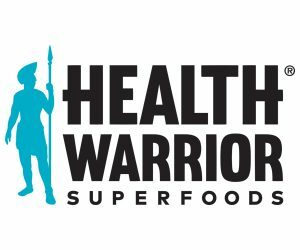 There are 11 Health Warrior Transition Zones along the course. The transition zone locations are below. For a PDF featuring maps of each of these locations, click here. There will be either restrooms or a port-a-john at each of the transition zones. As a note, space at some of the Health Warrior Transition Zones will be limited so please keep that in mind as travelling the course. There will be a water cooler and Health Warrior bars at each of the transition zones in case you need a quick refuel. Keep in mind the transition zones and race course are CUP-LESS so please bring something to fill or use the water bottle provided at packet pick-up. Remember that most of this race will be completed overnight, so even though some of the transition zones will be at convenience stores, they may not be open when you arrive. Plan to come prepared with the food and drink that you will need for the duration of the race. Sure! Teammates are welcome to pace each other, but only one person may wear the bib belt. Anyone that is on the trail must also have on the required safety gear mentioned above, including wearing a headlamp, taillight and reflective vest if running, or using both head and tail lights if on a bike. Please be aware that the trails, both the dirt and the Virginia Capital Trail, are open to the public. Please be considerate of all other trail users and pass with caution. In addition, all roads on the Run Bike Relay course are open to vehicular traffic, including some trail crossings, so for the safety of everyone all traffic and pedestrian laws must be obeyed. You must STOP at all trail crossings or when crossing the road. Please be aware this means these sections of course will not be controlled by police, so please stay alert and yield to any oncoming traffic. All sections of the course that include the Virginia Capital Trail MUST be completed on the Trail, no riding is permitted on Route 5. This is a rain or shine event. In the occasion of extreme rain prior to the event, we will reroute the course around the James River Park System single track trail. In the case of severe weather during the event, race officials reserve the right to cancel the event, condense the event and/or not allow teams on the trails until weather improves. If a runner gets injured, any of their team members can fill in and complete the remainder of that leg. After the completion of the segment in which the participant was injured, the rest of the injured participant’s legs can be completed by any combination of their other team members. However, with the exception of the leg in which the runner was injured, splitting a segment is not permitted. If a team member is injured and skips one of their assigned legs, they are no longer allowed on the course. Medical staff and other event personnel reserve the right to rule out any runner from participating if they deem them unfit to run or bike. If a runner is injured on a team in one of the open divisions, they must be replaced by another team member of the same gender. Multiple members of that gender can complete legs on the participant’s behalf. If a gender consistent substitution cannot be made, the team will no longer be eligible for a division award, but will still receive finisher’s items and a finishing time. If you see an injured runner on the course, please get their name and bib number and notify a race official upon your arrival at the next transition zone. Participants must follow the instructions outlined by the race officials and course signage. Failure to do so may result in disqualification. The bib belt must be worn by the team member on the trails, and must be visible at all times. You will also be given a vehicle number for your single team vehicle, which must be also be displayed. All team members must also have on their individual wristband at all times. Your team will be assigned an official start time once online registration has closed. Our goal is to have this start time to you early the week of the event. You must start in the wave time that you have been assigned or your team will be subject to disqualification. There is absolutely no participating under the influence of alcohol nor should alcohol be in any team vehicle. Participants who are intoxicated on the course will be stopped immediately and their team will be disqualified. Your team member on the course MUST go to the transition zone, even if they are choosing to complete consecutive segments. So every team will hit every transition zone regardless of the order in which your team members are completing the segments. At the transition zones, volunteers will note that your team has “checked-in” and you will hand off your bib belt to the next team member hitting the course. If you are completing consecutive segments, you will still check-in with the volunteer before beginning your next segments. If you finish your leg and your next teammate is not in the transition zone, leave your bib belt with a transition zone volunteer. Do not leave the transition area wearing your bib belt. Find your next runner and send them to the transition area, where the bib belt will be waiting for them and they can start their assigned leg. If you are the participant on course, please be alert as you enter and exit the transition zone. If you are on a bike, please enter the transition zone slowly, dismounting when exiting the course. For all team vehicles entering and exiting the transition zone, USE CAUTION and be alert for runners and cyclists also entering or exiting the zone at the same time. For step-by-step directions on how to register a team, or join an existing team, check out our registration instructions. If you are interested in participating as a solo racer, please email [email protected] for more information.